Friday’s son et lumière and Saturday’s parade of steam engines will be live streamed on the Internet. Click below for the links. Dyspozytor is away till May 3. Wolsztyn shed, 3 hours before the son et lumière, 1 May 2009. The Wolsztyn Steam Gala is always a dilemma. To go or not to go… I like my steam engines served au naturel, with the minimum of fuss, and I loathe crowds. An LSWR M7 or GWR 14XX pulling a couple of ancient carriages through almost deserted countryside while in the distance a ploughman guides his trusty horse across the field, that is how railway heritage should be served. Wolsztyn’s grand parade of steam with its climax where all the engines, coupled together like tethered dinosaurs, make as much noise as possible while 20,000 spectators gape, is not my idea of how these things should be done. On Friday afternoon, the day before the steam parade, I make my way to Smigiel, the home of one of Poland’s few surviving working narrow gauge railways. With luck I might even be in time to ride with the driver in the last service train of the day. A quick dash to Wolsztyn for the son et lumière and then back to Smigiel for a pleasant evening with friends. Up early the following morning, and a quick dash to Wolsztyn to photograph as much as possible before the crowds descend. Saturday evening usually has me driving home, but this year I have more ambitious plans. I want to see the last working section of the Pomeranian metre gauge at Reval and Gryfice as well as pay my last respects to the places that I knew so well in the 1960s and 1970s like Stepnica and Golczewo where today the narrow gauge is just a memory. It should be a very interesting bank holiday weekend! Drivers eye view of a tram ride through Bytom. In the aftermath of the recent Wolsztyn – Poznan hiatus and the ongoing Przewozy Regionalne saga, I have received a number of comments in the style of the ‘Poles couldn’t run a cake stall in a vicarage fête.’ While sharing everyone’s frustration at recent events, I cannot help but feel that such comments are hardly fair. After all it was the Brits and and Yanks – not the Poles who decided that after WW II Poland should be assigned to the ‘Soviet sphere of influence’. After 5 years of German and Russian occupation, the country had 45 years of communism thrust down its throat by the Russians after which time some very unpleasant economic shock therapy was administered by the IMF. Some people argue that the medicine actually did more harm than the disease which it was meant to cure! Little wonder that today there is an Alice Through the Looking Glass air about how the country works. So here are some views which illustrate some of the problems facing contemporary Poland. The first of these is a YouTube video by sabol72. It is a ‘drivers eye’ view of a tram ride through Bytom and across pl. Sikorskiego before it was rebuilt. It is I guess the way many British rail transport enthusiasts see Poland. They may notice the poor state of the track, the potholes in the roads and the shabby appearance of the shops, but the picture is charming and sympathetic. The second view, a video by Thorsupremecommander, was also shot in Bytom. It is a bitter protest at how the transition from tightly controlled state-run economy to Latin American style free enterprise has hit Poland. Bytom was once Poland’s Wolverhampton- a major industrial centre with steel works and collieries, factories manufacturing turbines and generators, textiles, building materials, pharmaceuticals, food products… . Now more than 90% the old factories have closed and unemployment running at around 14% has actually risen in recent years. Yet in those countries neighbouring Poland which embraced western values without undergoing ‘shock therapy’ many of the old plants still survive and unemployment is lower. The author blames Poland’s politicians for choosing a to create a ‘liberal economy’. While few would accept the author’s rose-tinted spectacle view of Poland’s past, a majority of Poles would accept his analysis of the present. Many BTWT readers may wish to stop here. Both the embedded videos above show much which would be interest to rail transport enthusiasts. For those readers who would like to explore further Poland’s economy here are two videos with diametrically opposed views. What crisis? Boom time for Polish city by AFP shows Poland the way the Polish government and their economic advisers would like Poland to be perceived. Shot against the background of Manufactura, a giant shopping mall in Lodz, once Poland’s second largest city, the film tells the story how companies are moving their manufacturing plants to Poland. What the film does not mention is that, while prices in Poland have largely risen to the levels of Western Europe, average wages are at about one third of those in the UK. How many of these foreign-owned businesses will keep their Polish manufacturing facilities when Polish wages finally catch up with those in the West? Last of all, Eastern Europe about to go Bust, Taking Western Europe with It takes a starkly pessimistic view. Stephen Jen, currency chief at Morgan Stanley, says Eastern Europe has borrowed $1.7 trillion abroad, much on short-term maturities. It must repay or roll over $400bn this year, equal to a third of the region’s GDP. The traditional solution to such economic crises, according to Jen, has been war. Warsaw residents are up in arms over plans by PKP PLK, the Polish State Railways infrastructure subsidiary, to demolish the swallow wing platform awnings on a number of stations on the Warsaw – Otwock line. PKP PLK wants to demolish the island platforms on these stations and realign the track to make the line suitable for 160 km running. 11 years ago, a similar ‘modernisation’ was carried out on the Warszawa Wschodnia – Minsk Mazowiecki line. Waiting rooms and platform awnings were demolished at Rembertow, Wesola, Sulejowek, Sulejowek-Milosa and Halinow. The replacement ‘bus-shelters’ were quickly vandalised and the trains still amble along at no more than 80 km/h. The stations affected are at Olszynka Grochowska, Miedzylesie, Radosc, Miedzeszyn, Michalin, Jozefow and Swider. Their platform awnings and art deco waiting rooms were constructed during 1936-38 as part of PKP’s upgrading and electrification of Warsaw’s suburban railway network. The windows, end doors and rounded ends of the waiting rooms, reminiscent of a 1930s railway carriage, were designed by Kazimierz Centnerszwer who worked in PKP’s own project office. Two Warsaw academics have rallied to the defence of the stations: Professor Andrzej Brandt of the Polish Academy of Science and Professor Olszewski, an expert on 20th century architecture. A fiery debate took place last week at Warsaw’s Museum of Technology. Many distinguished experts on Polish railway heritage spoke up in defence of the stations. Mr Jerzy Korzeniowski of PKP PKL explained that only a feasibility study was being undertaken and that there were no definitive plans to demolish the awnings. Howver this was challenged by Mrs Barbara Jezierska, the Heritage Conservator of Mazowsze province who queried why permission to demolish the stations was being sought from her office two months earlier. Museum Director Jerzy Jasiuk summed up the feelings of all those present at the meeting by saying that nobody believed PKP’s explanation. A picket is being organised at 12:00 tomorrow (Saturday 24 April) at Miedzylesie Station in defence of the awnings. Alternatively (and this call will come as no surprise to our regular readers) please write to the Heritage Conservator of Mazowsze province requesting that the waiting rooms and awnings are listed as part of the provinces legally protected heritage. An obscure and rarely travelled curve, but where? BTWT competitions have a languorous pace of their own, rather like a game of cricket. My last question stumped everybody. So for all those still waiting for the next question. What and where is the above curve? For those who have no time for competitions read on. Overgrown railway lines have a discipleship all of their own. It’s difficult to explain their attraction in words. Like exploring disused railway tunnels or derelict mines (Such activities even have their own Internet forums!) you either are a true believer or you are not. There is no middle ground. To see the fascination they exert for some search for ‘Czachowek‘ on Michael Dembinski’s W-wa Jeziorki blog. For the select few it is not enough to explore such lines on foot and photograph them. To ‘do’ them properly they have to be travelled over by train. To do this in Poland you will need a copy of the gricer’s bible, Paul Steane’s Lines with obscure or sparse passenger services. Hmm, on second thoughts, that description will soon apply to most of the Polish railway network! The Gliwice – Raciborz railway in its heyday. On March 25 1899, the railway from Gliwice to Rudy was opened. This 23.5 km section of line was the first stage of a project to build a 785 mm gauge railway from Gliwice to Raciborz. The line was extended in stages and the last section to Raciborz was opened on 17 May 1903. The total length of the railway was 51 km. The railway connected small towns and villages which would otherwise have had very poor links with the outside world. By 1945, the line was carrying up to 700,000 passengers a year. But its heyday was in the period 1949 – 1963 when the railway never carried less than 1 million passengers. Its all time record was set in 1954 when it carried 1,834,400 passengers. During the 1960s and 70s competition from buses and motor cars began to eat into its passenger traffic. In 1991, the last year of operation under the auspices of PKP, 90,292 passengers were carried. After the railway closed, the entire line from Gliwice to Raciborz was listed in the provincial register of historic sites and from 1 March 1993 enjoyed the protection of the law. Sadly this protection was not sufficient to stop the plundering of some very efficient scrap thieves and the activities of a rather dubious railway preservation society. Now most of the track has been lifted and two steam locomotives have ended up overseas. Today the section of line within the boundaries of Kuznia Raciborska has been taken over by the municipality and the future of this section at least seems secure. Tourist trains are operated over a 6 km section of line: Poproci – Rudy – Stanica. Michal Fita, the Director of the Municipal Sport, Culture and Recreation Centre, is confident that the line could be developed into a major tourist attraction. The tragedy is that all those who saw a new future for the railway were unable to stop the devastation which occurred since PKP withdrew. How much more of Poland’s priceless railway heritage must be destroyed before the adequate measures are enacted to halt the destruction? 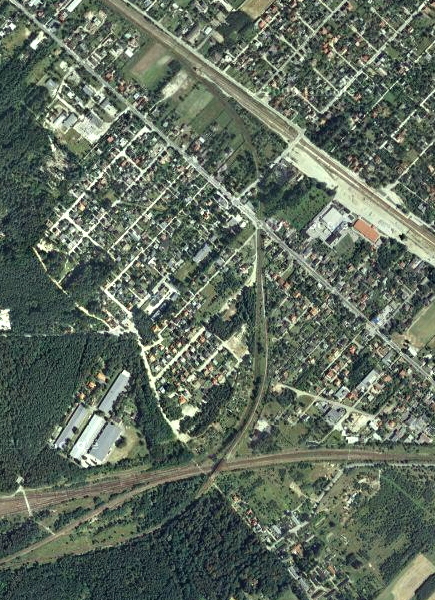 The Gliwice – Raciborz railway today. OL49-59 and passenger train, Poznan 15 April, 2010. After a 10 day hiatus team hauled services returned to the Wolsztyn – Poznan route yesterday. The interruption of steam services since Easter Monday disappointed thousands of tourists, hit the revenue streams of both Przewozy Regionalne and PKP Cargo and damaged the image of Poland’s railways both at home and abroad. The steam hauled services between Wolsztyn and Poznan are subsidised by the Wielkopolska provincial government and a penalty clause comes into operation when the steam trains do not run. After the steam famine, a feast! 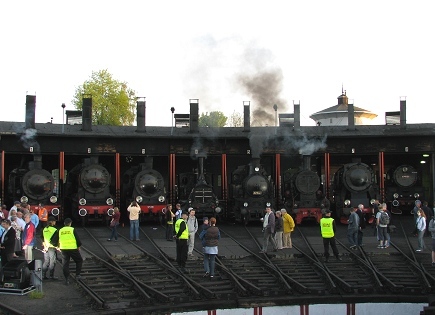 Yesterday three engines were in steam at Wolsztyn! Ol49-7 which hauled the morning turns, Ol49-59 which hauled the afternoon train and Tr5-65 which is due to have an inspection regarding the extension of its ticket today. Przewozy Regionalne InterRegio train from Wroclaw to Swinouscie hauled by ET22-819. Photo H. Ciszewska-Czyz. Przewozy Regionalne (PR) were recently given an ultimatum by PKP’s infrastructure company, PLK PLK – pay the outstanding track charges, or stop running trains on our track. PR have just made a partial payment, so PKP PLK have told PR – you can continue to run trains on our track, but you must cut your services by 1/5! Sląsk is Poland’s Black Country. If Katowice is Poland’s Birmingham, then Bytom is its Wolverhampton. The economy was entirely based on coal. The coal was initially mined near the surface, but as these deposits became exhausted the miners penetrated deeper and deeper. One of Bytom’s industrial railways beat the Festiniog Railway by a few years and became the world’s first steam operated narrow gauge railway. The first coalmine was opened in the Szombierki area in 1768. It closed in 1820. The Hohenzollern Mine (later Kopalnia Szombierki) was opened in 1870. The Kaiser Wilhelm shaft (later Krystyna) was dug between 1870 and 1873. The coal mine was expanded in stages. By 1880, coal was being cut from three seams at depths of 104 m, 154 m and 171 m. At the end of the 19th Century, over 1,200 people were employed at the mine and 1,400 tonnes of coal were being hauled up daily. In 1917, the shaft was deepened and good seams of coal were found at 272,4 m, 294,4 m and 310 m. By 1920, the shaft was 340 m deep. In 1929. a modern all-enclosed winding house was constructed over the Krystyna shaft. Its winding engine was rated at 3,264 horsepower – the most powerful in Europe. It was designed to be able to raise coal from a depth of up to 510 metres. After the end of WWII the mine was occupied by Soviet soldiers who attempted to work it with little success. It was handed over to the Polish authorities on 14 April 1945. 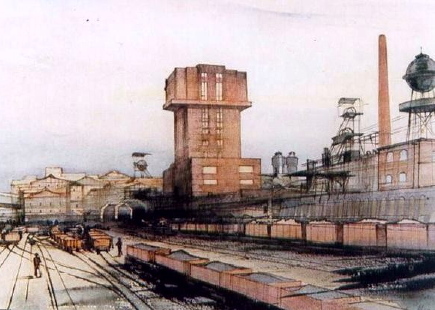 It was renamed ‘Szombierki’ and its main shaft was rechristened ‘Krystyna’. By 1948, 4,372 were employed in the mine. In the early 1990s the IMF imposed an austerity programme on Poland, dubbed the Balcerowicz Plan, and a so called ‘liberal’ economic policy. Poland’s heavy industry was decimated, the total demand for coal dropped drastically and cheaper coal was imported from the East. Many of Poland’s coal mines closed; the Szombierki mine was among them. Ironically, these were the very policies opposed by the late President Kaczynski, but to no avail. Krystyna shaft headgear at the height of its glory. Passengers boarding the special train to Smolensk at Warszawa Zachodnia station on 9 April. Photo Michal Dukaczewski, RMF FM. The faces are grave and solemn. They are making a journey to remember their fathers and grandfathers who were executed on Stalin’s orders 70 years ago. The journey is long and tedious. Passport formalities and bogie changing on the Polish – Bielorussian border seems to take forever. At last they are at Smolensk where coaches are already waiting. It is just a 20 km drive to Katyn. Wreaths are laid in the forest. Private prayers are said. The President’s party is awaited. Time passes. A rumour sweeps the crowd, there’s been a plane crash, but everybody is safe. A man says loudly, everybody is dead. Someone makes a megaphone announcement, there’s been a plane crash and everybody is dead. The train leaves four hours early. All the signals are that blue colour which in countries of the former Soviet Union serves instead of green. Bogie changing is completed in record time. The train reaches Warsaw just before 08:00 hrs, barely 15 hours before leaving Smolensk. Relatives wait on the platform. There are no smiles. Someone says, now the whole world will know about Katyn. From a photo Jan Mehlich. The Smolensk tragedy has touched every sphere of public and private life in Poland. It seems that nearly everyone has connections with one or more of the deceased. As the principal subject of BTWT is Poland’s railways. It is appropriate for us to remember Tomasz Merta, the Under Secretary of State, Ministry of Culture and National Heritage and the National Conservator of Historic Monuments. It was in the Minister’s latter role that he was visited by David Morgan, President of Fedecrail in November 2008. The two discussed the state of Poland’s railway heritage, Tomasz Merta promised to assist with publicising the importance of Poland’s railway heritage. A year later he was as good as his word and he facilitated arrangements for the Minister of Culture, Bogdan Zdrojewski, to be a patron of Poland’s first International Conference on Railway Heritage and Society. Tomasz Merta was born in Legnica on 7 November 1965. He was born in Legnica, and attended the Hanka Sawicka High School in Kielce. He was awarded an MA degree in Polish Philology by Warsaw University. He continued his postgraduate studies in the School of Social Sciences within the Institute of Philosophy and Sociology of the Polish Academy of Science. He was awarded a PhD by the Department of Applied Social Sciences, Warsaw University. From 1996 to 1998 he worked as a lecturer at the Institute of Applied Social Sciences, Warsaw University. He was an active publicist. From 1996 to 1999 was a member of the editorial team of the journal Res Publica Nowa. 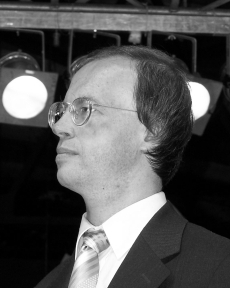 From 1996 to 2000 he was the Polish correspondent of the East European Constitutional Review. From 2000 to 2002 he was the editor of the Quarterly Conservative. He was linked to Cracow Centre of Political Thought. He was co-author and joint editor of In defence of Common Sense (2000) and Memory and Responsibility (2005). His articles were published in many newspapers and journals. He was an adviser to the Centre for Civic Education, co-author of curricula and textbooks about society, history and entrepreneurship and teaching guides. In the period 2000 to 2001, he served as an adviser to the Minister of Culture and National Heritage, Kazimierz Ujazdowski. From 2001 to 2002, was director of the Institute of National Heritage. He was one of the authors of the cultural programme of the Law and Justice party (PiS). He was a member of the Fourth Republic Council and the programme board of the Warsaw Uprising Museum. In 2005, was a member of the Lech Kaczynski election committee during the presidential election . On 4 November 2005, Prime Minister Jaroslaw Kaczynski (the late President’s brother) appointed him to the Under-secretary of State in the Ministry of Culture and National Heritage and the General Conservator of Monuments. He retained his position after the Civil Platform party, under Prime Minister Donald Tusk came into power on 16 November 2007. On April 10, 2010 he was in a plane carrying a delegates invited by the President of Poland’s to the ceremonies marking the 70th anniversary of the Katyn Forest massacre. The plane crashed as it attempted to land in Smolensk. There were no survivors. The late President of the Republic of Poland, Lech Kaczynski. Photo the Office of the President. The President of Poland, Lech Kaczynski, and some 80 members of Poland’s elite have been killed in a plane crash in Russia. They were flying from Warsaw to Smolensk to take part in a commemoration in the Katyn forest marking the 70th anniversary of the massacre of tens of thousands of Polish prisoners of war by the Narodnyj Komissariat Wnutriennich Diel (NKWD) the Soviet secret police. It has been reported that a wing of the presidential plane clipped a tree as it circled the airport in thick fog. The plane’s passenger list has been published on the polish2english blog. Przewozy Regionalne (PR) and PKP Cargo (Cargo) have agreed to exclude the steam-hauled Wolsztyn-Poznan steam trains from the effects of any future disputes regarding outstanding payments and today PR made a credit transfer to the bank account of Cargo for the monies outstanding for the haulage of these trains. But steam haulage will not actually restart until Tuesday when the monies are actually due to arrive in Cargo’s bank account. Meanwhile PR is incurring penalty charges with respect to the Wielkopolska provincial government due to the fact that the steam trains are not running. In addition, Cargo is not receiving any income for hauling steam trains because for the moment they are being hauled by PR’s Su42 diesel. Still everything will be OK on Tuesday. Or will it? 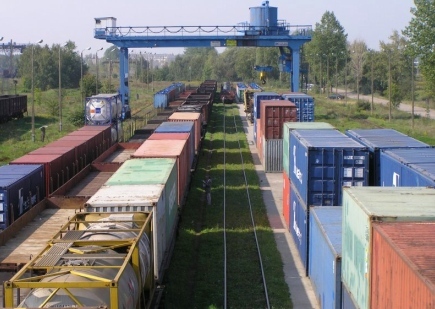 The Wolsztyn shed-master worries that PKP Energetyka will disconnect the electricity supply to the shed on Monday because Cargo have not been paying their electricity bills. 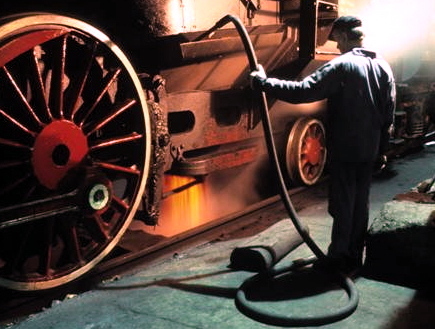 Ol49-59 having its ashpan cleaned, March 2009. Photo John Savery. Today’s trips between Wolsztyn and Poznan that were booked for steam haulage are again being diesel-hauled. It seems that the various stakeholders all have different explanations why this is the case. Poznan’s Radio Merkury interviewed Andrzej Jablonski, a Director of the Wielkopolska Division of PKP Cargo. Jablonski explained that Cargo had not been paid for the provision of steam locomotives during March and that, although a locomotive remained in steam, it would not be allowed to run until the appropriate payment had been made. Michal Lipinski from Prewozy Regionalne’s press office in Warsaw countered that all the requisite payments had been made and only an administrative hitch – the need to sign a new agreement – prevented the steam trains from running. 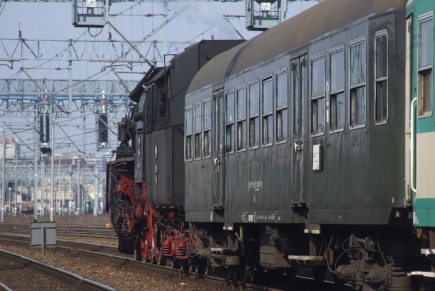 Wojciech Jankowiak, the Deputy Governor of Wielkopolska, pointed out that the provincial government is subsidizing the steam-hauled services to the tune of some 3 million PLN each year. He is looking forward to the day when Wolsztyn and its engines will be taken over by a new company where the Wielkopolsk regional government will have a majority stake. The craziest series of moves and counter moves has been made by PKP Cargo and PR. Owed money by PR for providing the steam locomotives that operate the Wolsztyn – Poznan timetabled services, Cargo threatened to halt the haulage of the steam hauled Wolsztyn – Poznan services. PR counter-attacked yesterday by despatching their own diesel locomotive to Wolsztyn. Ol49-59, the locomotive that was due to haul today’s steam services was steamed, the loco crew turned up, but today’s steam-hauled turns to Poznan and return are actually being hauled by a diesel! Many visitors from overseas who have visited Wielkopolska for the Easter holiday to photograph and ride on the trains will be bitterly disappointed. When will the people in charge of Poland’s railways – PKP and PR senior management and the responsible ministers – realise that the very public war between PR and PKP is harming Poland’s railways as a whole? Does no-one care that, with the eyes of the world’s railway enthusiast community turned towards Wolsztyn and its timetable steam-hauled services, such antics make Poland appear to be little better than a banana republic?